A News Index page serves as a directory of your News Articles. It automatically populates with content by pulling in fields from each article such as date, photo, title, and summary. Example of a News Index page. Before creating a News Index page, establish the news section and create the initial News Article pages. Then, create a News Index page in every folder containing articles (i.e., every year folder and every month folder should contains its own News Index page). Creating a new News Index page. Example of Intro Text and a Jump Menu on page. Determine which articles to include. 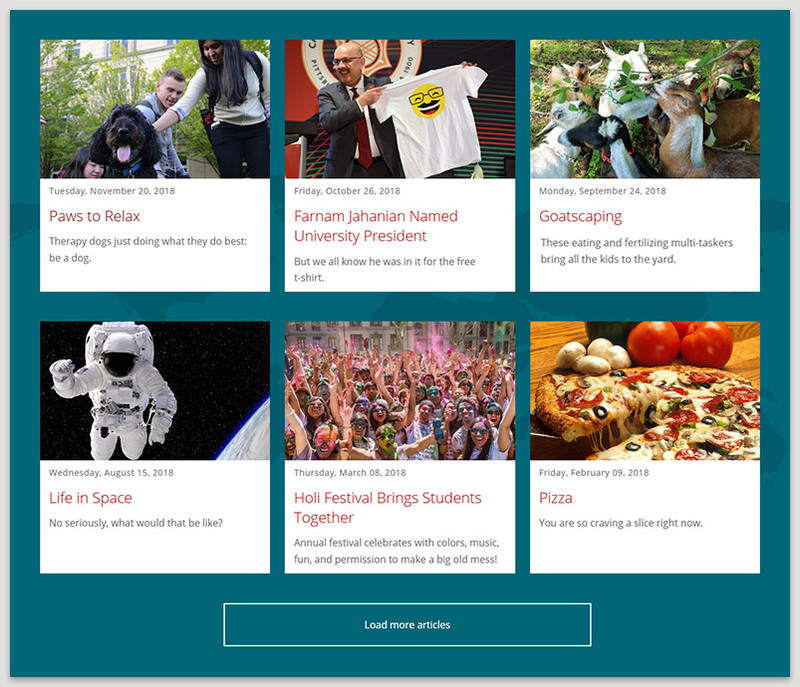 Example of a news grid configured with three columns and two initial rows to display; a "Load more articles" button will display if more articles are available. Include all News Articles within the same folder and its subfolders. Newly created articles will automatically appear, however publishing the News Index page is required whenever there's a new article. 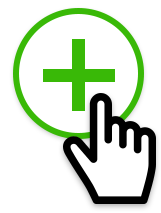 Be selective about the News Articles you want to include; selected articles will remain fixed on the page until changed. Automatically feed News Articles to a published News Index page using RSS. This means you won't have to publish the page whenever there's a new article (hooray!). Learn more about RSS. Filters allow you to be selective about what news to display on the page. 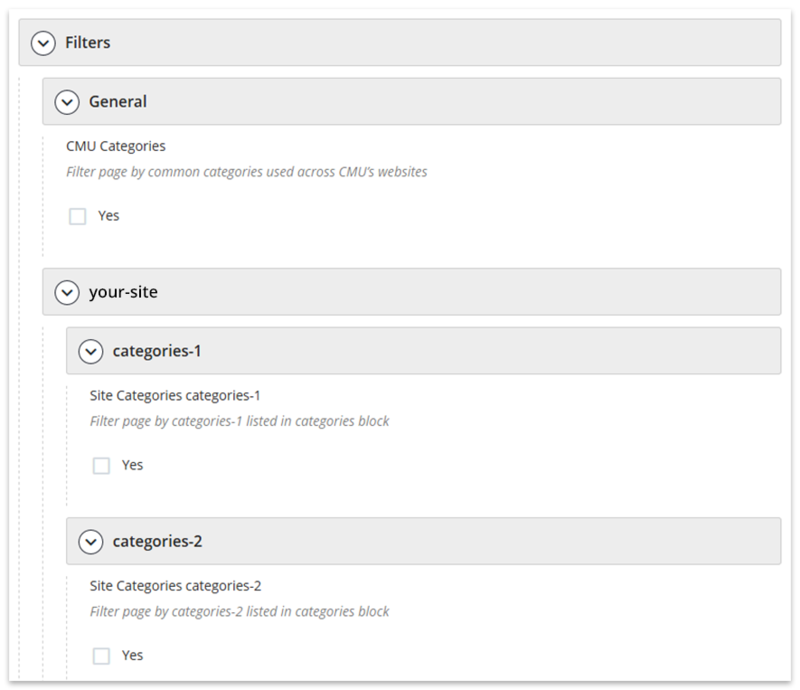 News Article pages must be tagged with the categories selected here in order to be included (new categories can be created in the categories block; more on categories). If no filters are specified, all news within the folder and its subfolders will be included. 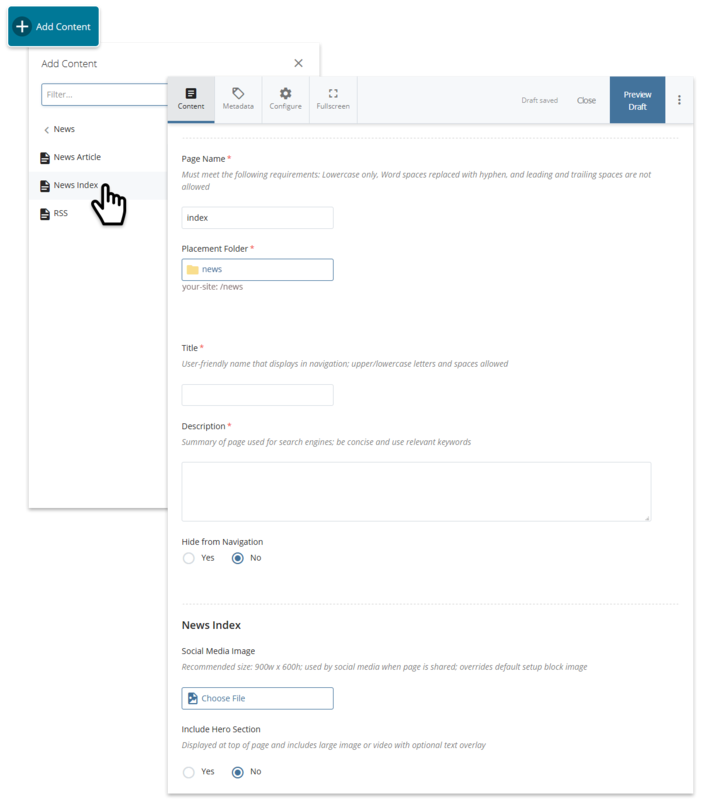 Dropdowns allow filtering of news by your website visitors. 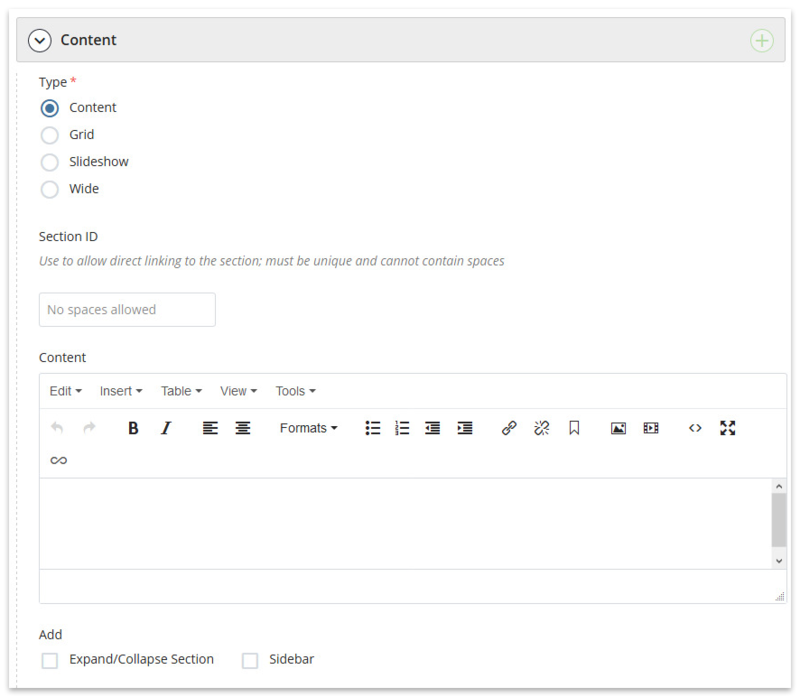 Dropdowns are provided at the top of the page and instantaneously adjust the content based on the dropdown selection (i.e., the page does not have to reload). More on dropdowns. General CMU Categories are pre-defined categories available to all sites; however only the ones used on your news will be available in the dropdown. The dropdown label can be customized on this page. 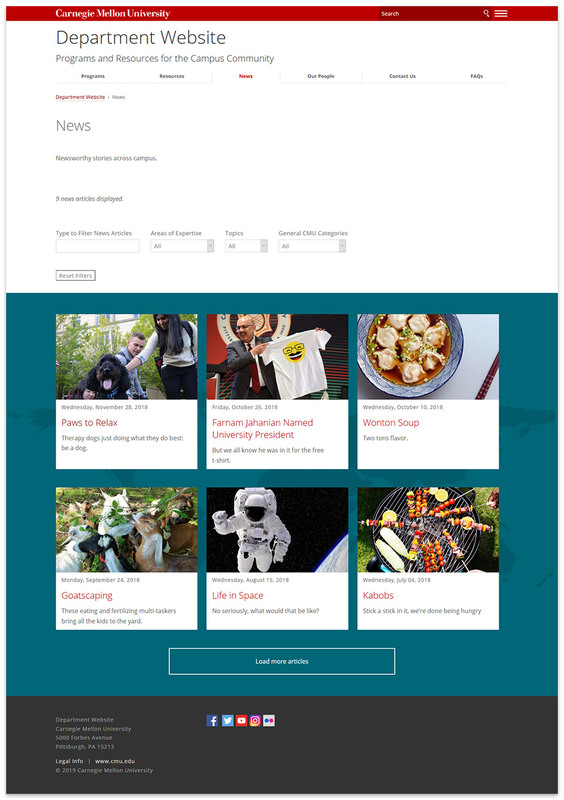 Want to feature another section of news on the page? Click the plus sign (+) near the main section label of an existing News Index section and repeat the steps above. Tip: By using categories via RSS you may create multiple News Index sections on a page and feature different topics for each.